Have you ever looked online to read accounts from landlords about their horrible tenants? Go ahead; I dare you! The stories are more than cringe-worthy and sometimes scary! If you’re a first-time landlord or timid about the entire screening process, MilitaryByOwner has you covered. Not only do we have a partner, SmartMove, who helps to identify the best tenants, we also have our own advice to share. Successful tenant screening often starts with old fashioned, friend of a friend, or word of mouth references. Putting the word on the street, especially in high demand neighborhoods, will likely snag a serious and probably military related renter, especially if the house is listed on MilitaryByOwner with a plethora of in-focus and horizontally shot pictures to show the best features of your house. Military love to help other military out, so the request will surely suss out some leads. Plus, there’s a good chance a friend-of-a-friend connection will be made during the getting to know you phase of potential tenant screening. It’s always better to a least know a little something about the folks living in your house. After a few possible candidates have filled out the initial questionnaires you’ve provided, (name, contact numbers, possible lease dates) it’s time to bring in some investigative tools to make sure your property is lived in by reasonable and responsible adults. Really? Can it be easier than a one and done shop? Probably not. Military landlords are busy people with TDYs, deployments, and long work hours, and forging through the necessary paperwork to screen clients is probably not registering on the fun things to do list. 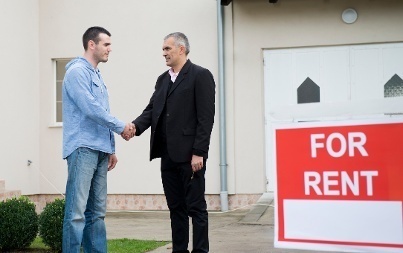 But, if you’d like to do all of the work yourself or if this isn’t your first rental rodeo, then use he info found in How to Prepare for Your New Tenants and 7 Tips for Choosing the Best Tenant for Your Rental to set yourelf up for success. Once your perfect tenant is identified and all is right in your renting world, it’s time to take care of those renters and keep them happy with your house. Start preparing those Tenant/Landlord Binders and keep communication open and regular, for everyone’s peace of mind.